There is a small contraction microseconds before your arm raises. The major lifts such as deadlifts, squats, and powercleans all call for core stability. Challenge your core strength and balance as much as possible. This article is for anyone who wants to move some serious weight and grow to huge proportions. Having a strong core is a necessity for anyone who wants to enjoy stability and independence in movement while moving muscle shredding poundage. A strong core is the key to being able to move heavy weight which is the key to growing muscle. Our bones give us structure and our muscles pulling on those bones at various angles generating forces give us movement. One of the most important and most overlooked muscle groups of the body when it comes to body building is the core. With a weak core you are only tapping into a smaller percentage of your overall strength and setting yourself up for injury down the line. The core is made up of the proverbial "Stars," rectus abdominis, (six pack) the obliques, the back extensors, the lower head of the latisimus dorsi, (wings of the back) small spinal muscles (multifids muscles), transverse abdominis, glutes etc. These muscles all work in concert to stabilize the human body in space and in motion. They fire and work all day, even while standing still. They also absorb shock and stabilize forces during joint movement. The Human Body In Space And In Motion. As you twist, turn and bend through life these muscles are at work making sometimes microscopic adjustments to keep your body safe and get it to do what you want it to do in life and in sport. If you simply raise your hand out straight in front of you and pay attention you will notice that there is a small contraction in the trunk of your body microseconds before your arm raises. The same minute contractions are responsible for every rep that you pump out in the gym. All movement originates from the core. The major lifts such as deadlifts, squats, and powercleans all call for tremendous core stability. If you want to add real size and spark the release of GH into your system these exercises had better be in your regimen. They are all exercises that depend on the ability of the core to stabilize you through out the full range of motion. These exercises not only target the muscles of the legs but also target the muscles of the core. 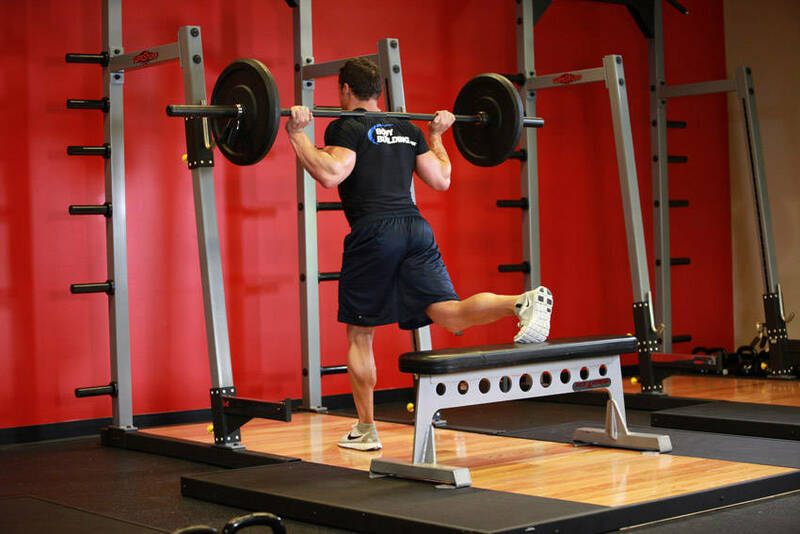 Recent studies have shown that single leg strength and double leg strength do not always correlate. Many participants had the ability to squat let&apos;s say 300 lbs with both legs but could not do a single leg squat with 150lbs. 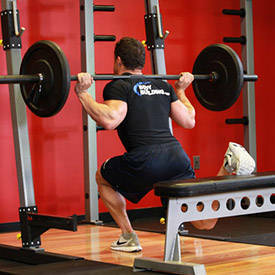 The muscles of the lower back and glutes (core muscles) are definitely recruited during a standard back loaded squat. Single leg squats really challenge the strength of the leg and its stabilizers and should be worked into your leg routine. 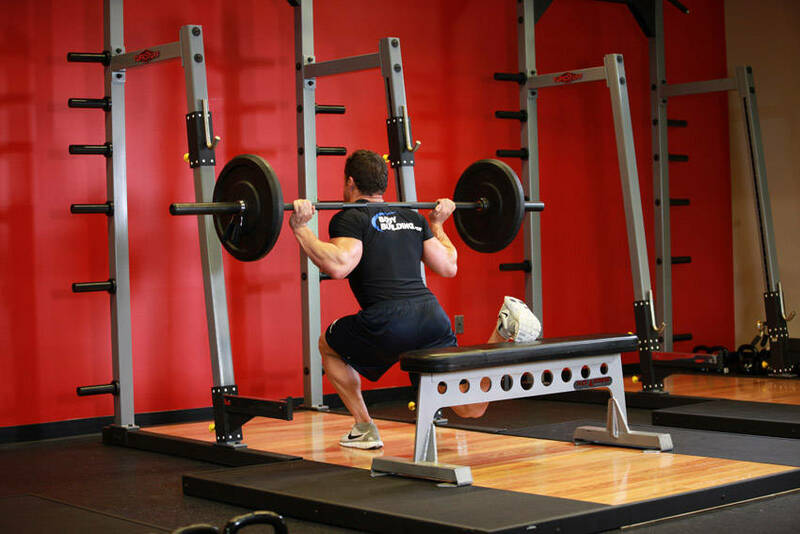 Train those muscles and the weight you can move in your squat should move up. If your core is not trained it tremendously lowers the amount of weight you are able to move in these lifts. 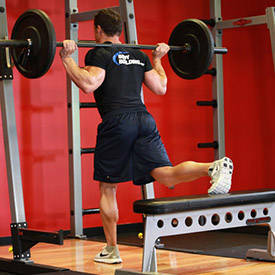 Click Here For A Video Demonstration Of One Leg Barbell Squat. 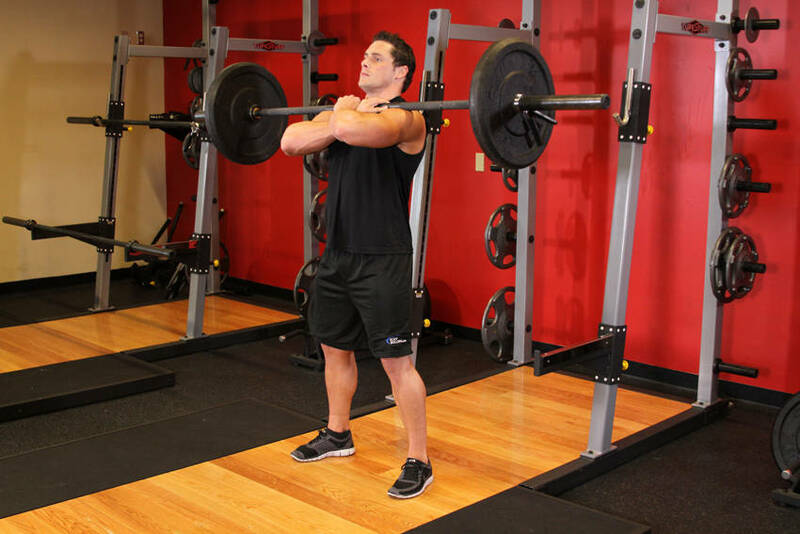 Work in front squats to engage the transverse abdominals as well as the rectus abdominis muscles. It should become increasingly clear to you the importance of these muscles. This is what you can expect if you take a little time to give them a little extra attention in your training programs. 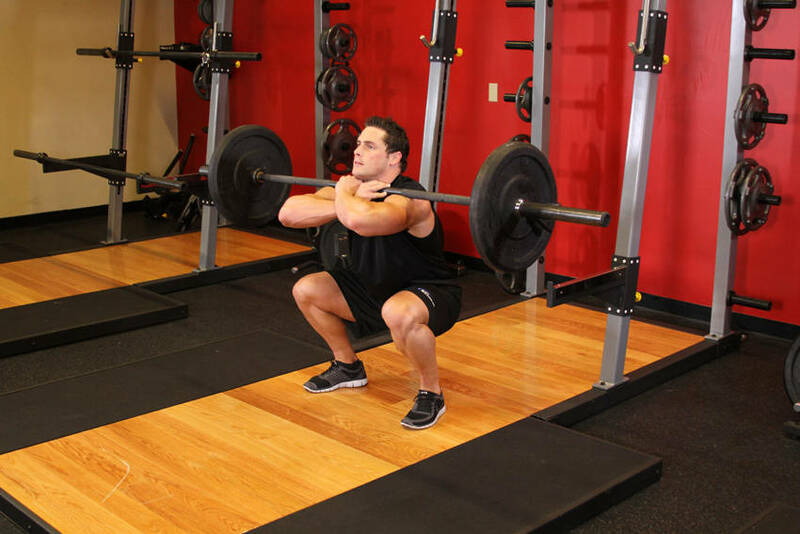 Click Here For A Video Demonstration Of Front Barbell Squat. Training the core can have tremendous effects of sports performance due to the added range of motion and stability that a strong core provides. A strong core enables you to properly perform movement patterns and move weight that may have once been challenging or impossible. An increased range of motion means a decrease in injury and pain. Body building can become excruciating with a bad back. The core also helps you to accelerate and change direction. The reason why many bodybuilding injuries occur has to do with weaknesses or extreme tightness in muscles of the core. When these muscles are not firing in the way that they should during a lift the force is then passed down to weaker muscle groups. That is when you start to experience sprains, strains and tears. Remember the body is just a chain of intricate systems. Think of the core of your body as the epicenter of the muscular system. A strong core can help you eek out that one extra rep or move that one extra pound. That little extra is the difference between growth and stagnation. They move the upper body as a counterbalance for the movements beneath your feet. In other words, they control your balance and essentially keep you on your feet in changing environments. If you are a runner, strength training in this area will give you a more powerful stride. If you play golf, a more powerful swing. In bodybuilding the ability to lift heavier loads with less stiffness and immunity to injury of the muscles and joints as well. I know that you bodybuilding purists may hate me for this next part but I will write it anyway. Mixing in a little prevention goes a long way. Exercises such as crunches... back extensions, planks and exercises on the stability ball will go a long way to creating a core that will astonish and protect you. Every exercise that you do in the gym can be done on a stability ball. A stability ball adds a level of balance and instability that trains the hidden muscles that are often the culprits of pain. You may be able to dumbbell press a pretty impressive amount of weight while lying on a bench. Do that same exercise while lying on a stability ball. You will definitely have to drop the weight... for added difficulty raise one foot as you press up a good amount of weight. You can plan on being sore in places you haven&apos;t been in some time. Exercises that include the maintenance of certain poses will also challenge these muscles as well. Venture into a studio and occasionally try out Pilates or Yoga. Both of which will encourage flexibility, blood flow and strength of the core muscles. Incorporating variations of plank holds will also enhance the endurance of those well hidden and powerful muscles. You Can Plan On Being Sore In Places You Haven&apos;t Been In Some Time. Primarily running with free weights also recruits a multitude of support muscles that machines just cannot target. It takes strength to control a dumbbell. Core training will prevent overuse injuries common in body building and many other sports. It can also help us lift more and stimulate more muscle growth. It will also prevent injuries by providing added stability to the pelvis, knee, ankles and shoulders as you age. Stronger muscles around the core share the load of your body and help to counteract the effect of gravity on the joints. I have had the opportunity to work with a huge variety of clients. One thing that I have noticed is that most injuries can be traced to weaknesses in the core. This is especially true in injuries of the back and knee. I have also noticed that ACL and MCL tears are becoming common place in many athletes. The cause is nothing more than an unexpected acceleration or change in direction that causes much pain, exercises/training loss and recovery time. You should never be able to squat 500lbs and tear an MCL jumping up on a curb. Challenge your core strength and balance as much as possible. Keep your hands off of your hips and let your core support the weight of your upper body. Contract the muscles of the midsection as you move through life. Training your core muscles with great focus 2-3 times a week will result in dramatic results in the gym.